As the Greek philosopher Heraclitus once quipped, “Change is the only constant in life.” It was true when Heraclitus said it in 6th century BC, and it remains true now. As the holidays approach, I’m especially reminded of this. I will soon get on a 6 a.m. (!) flight and head to Wisconsin for not only Thanksgiving but my brother’s wedding. My siblings and I are very close in age, and it seems like just yesterday that we were fighting over who got to drive us all to high school. Today, we’re separated by distance and time; I’m in Connecticut, my brother in Wisconsin, and my sister in British Columbia. The occasions when we all get to be together become increasingly rare and precious. This is the first Thanksgiving in four years that I will be back home. For my brother and sister it will be the opposite: This will be the first Thanksgiving they will miss in years. Life changes along with the seasons. It should be no surprise that we, and the people we love, change too, but often that realization does come as a surprise. Depending on what your family make-up looks like, changing relationships can look very different. Maybe you’ve never been close to begin with, and this isn’t something you’ve given much thought. Maybe you’re close and you reflect on it often. I fall into the latter category. My nuclear family consists of me, my mom, and my brother and sister. We moved quite a bit when I was young, which made our relationships with one another even more central. Four years ago, I moved across the country from the rest of my family to work and attend graduate school. Long-distance relationships with anyone are hard, and being away from my family is probably the biggest sacrifice I’ve made to live on the East Coast. We stay in touch via phone or Skype, but for the most part I only see them in person during holidays. 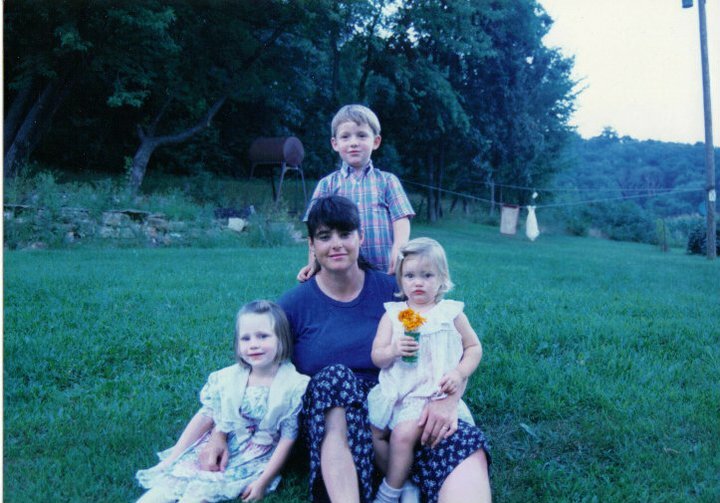 A younger Heather with her family. I look forward to going home months in advance. I dream about watching BBC dramas (“Poldark” is a recent favorite) with my mom, going to a coffee shop with my siblings, and reveling in years of built-up inside jokes. But it’s not all sweet, and every time I return home, I’m reminded of how much we’ve all changed. We’re no longer a part of each other’s daily lives in the way that we once were. I’m not familiar with my sister’s new friend group; I no longer know what my mom eats for breakfast every day. Sometimes, I don’t make it home for the holidays at all, and sometimes when I do, like this year, not everyone else makes it home. My mom sometimes has a hard time believing that we’re all grown up. When we return home, we sometimes have a hard time acting like it; shirking the same kind of responsibilities that we shirked as children. We recently ran into conflict when we went on a family road trip and my mom ended up planning basically the whole thing. 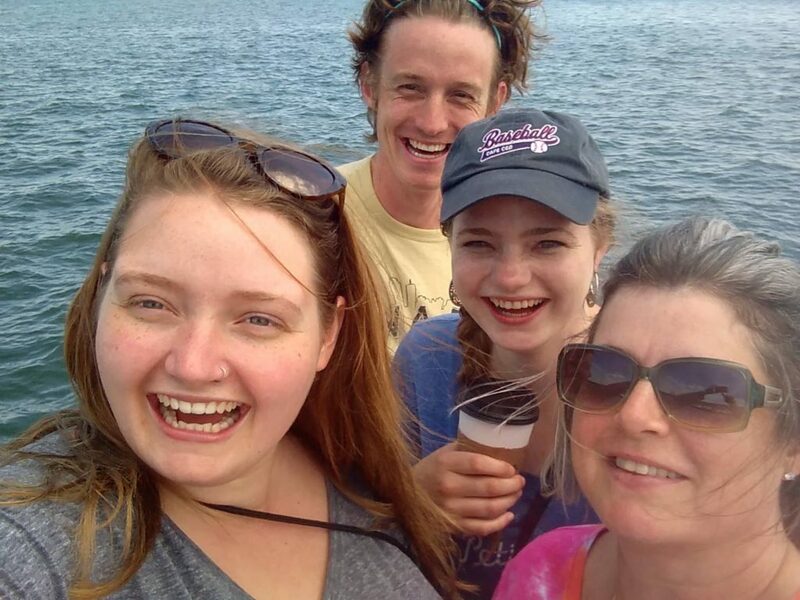 She felt unsupported by her now-adult children, and we realized that we had thoughtlessly slipped into old roles of relinquishing decisions and letting our mom take care of everything. Our relationships no longer consist of my mom packing our school lunches and stepping in when my siblings and I are fighting over who gets to sit in the front seat. Although my mom still does plenty of care-taking, we now need her more than ever as our dear friend. Roles aren’t as clear, and while that brings room for much needed growth, it’s also a tension we’re constantly trying to navigate. It’s painful, but also beautiful in the way it can ultimately empower each member of the family to step more fully into themselves and take on more equal responsibilities. In seeking to better understand how other 20-somethings experience and navigate changing family relationships, I turned to Dr. Jeanne Peloso, the associate dean for student affairs at Yale Divinity School. Dr. Peloso has a PhD in applied developmental and educational psychology and has been working with 20-somethings for 20 years now. Dr. Peloso says that she often speaks with students about transitions and navigating family relationships. The 20s are the “foundation for what adult life will be,” Dr. Peloso says. They’re some of the most confusing and difficult years of life, especially because of how transitory they have become. It used to be that you grew up, graduated high school, got married soon after, and formed your own nuclear family. That’s no longer the case. Dr. Peloso calls the 20s “a new frontier,” and while that “new frontier” gives 20-somethings a lot of options, it also can create a sense of drift and confusion and lead to complicated relationships with family. 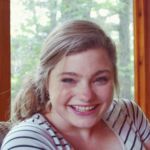 For some people, their 20s are a time to get the distance and independence they crave, and to establish themselves in a community that becomes their family. Family members (or you yourself) get married and form their own family. Not everyone returns home for the holidays or feels the need to remain close. For some people, that feels like freedom, and for others it feels especially painful, but there are ways to ease the transition and make the best out of growing pains. Whatever your transition looks like with your family, Dr. Peloso emphasizes the importance of focusing on self-care throughout. She recommends asking yourself the following questions: “What sustains you? What gives you joy? What do you want to belong to?” Once you’ve reflected on the answers to those questions, be intentional about seeking those things out, especially when it comes to relationships with family members. Though these relationships may feel strained at times during transitions and may also include times of conflict, Dr. Peloso says it’s important to recognize that upheaval is part of the path to renewal. She likes to think of times of transition in the same way that ground is dug up in order to scatter seeds, a painful process, but one that is necessary for growth and often yields beautiful results. Be kind to yourself and your family members and offer grace as you navigate change. This advice resonated with me so much and helped me reframe the conflict and pain that I’ve seen in my own family as we all change: Difficult in the moment, but most often resulting in greater understanding of one another. Renegotiating relationships with parents and siblings is tough and can be difficult to acknowledge verbally, but, as in most situations, good communication makes everything so much better. Chances are, your parent, sibling, aunt, etc., are feeling those growing pains too and would also benefit from talking about it. Express how much your relationship means to you and that you’ve been feeling distant, concerned, fearful, etc., during this time of transition. Remember that road trip I was talking about? Well, we had a lot of time in the car with one another to have theses kinds of conversations. Sure, they were a little painful and awkward at times, but in the end they made me feel way closer to each of my family members and much more grounded in my relationships with them. It’s okay to express that you need more or less space, or maybe they do. There are probably ways to ease those growing pains, too. For example, I recently learned that while I find it easier to stay in touch with my mother by calling, she feels more of a connection when we write letters. I would have had no idea if we hadn’t talked about it, and now I plan to be more intentional about writing while she intends to be more intentional about calling. Either way, expressing love for another person and establishing the importance of your relationship and your hope to strengthen that relationship is a great place to start. Heather and the fam all grown up. My family members are no longer my roommates; we don’t bump into each other in the hallways or have family movie nights on Fridays. Staying in touch takes effort. After all, phone calls, Skype chats, and visits don’t happen themselves. Sure, you all have busy schedules and your own lives, but take the time to invite each other into your worlds. Mix it up and be creative with your connections. Maybe it’s just a bi-monthly Skype call or maybe there’s a new book series you and your brother have been meaning to read and can discuss together. Live close enough to get together on a weekend? Plan a fun hike or play a childhood board game at a coffee shop. Above all, take the time to check in and show you care. For me, this might mean sending a card to my mom when I know she’s had a rough week or sending my sister a quick text before she plays a concert. Intentionality goes a long way in maintaining and strengthening relationships even as they evolve. It can be pretty fun to be part of an evolving relationship, and you may find yourself actually growing closer to certain family members as you grow older. As I’ve matured, I’ve found myself more and more aware and appreciative of the ways my mother supported us all as a single mother. As we mature, I also see my siblings and I become more appreciative of each other and less self-absorbed, which is always a win-win for relationships. Weirdly enough, my brother and I now seem to watch a lot of the same movies, and my sister’s musical tastes have converged with mine in a pretty bizarre way. Over the last couple years, we’ve come up with a new tradition of hosting a siblings Christmas dance party where we make a playlist and then dance around in our pajamas after everyone else has gone to bed. It’s just a small thing, but it reminds me that there are always new memories (and weird traditions) to be made. It feels good to recognize that change isn’t all bad, and that, in fact, life post-kids’ table definitely has its perks.